Farm2Mountain > Uncategorized > Under New Management! The Farm2Market Produce Club will continue under new management effective January 28, 2015. Hi! 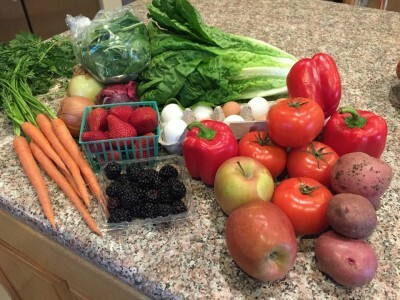 My name is Tracy Tokunaga and I will be managing the produce club beginning with the January 29, 2015 order! I’m very excited to incorporate the produce club into my Nourish classroom at Big Bear Middle School. We will be “piloting” an after-school produce club and students will be involved with orders, packing of produce and produce disbursement. This produce club will be a fundraiser for the Nourish Class to provide students with organic fruits and vegetable tastings, field trip opportunities, and cooking classes. Please note that there will be some minor changes as we progress through this transition period. Please agree to the new Terms and Conditions Agreement in effect as of January 28, 2015. Please bring exact cash or a check and deposit in the drop box when you pick up your order. Paypal payment option is coming soon! Remember to add the monthly membership fee into your first order of each month. Delivery fee is $7 per order when not picking up at Big Bear Middle School.